The concept of putting your best foot forward is all but nullified. 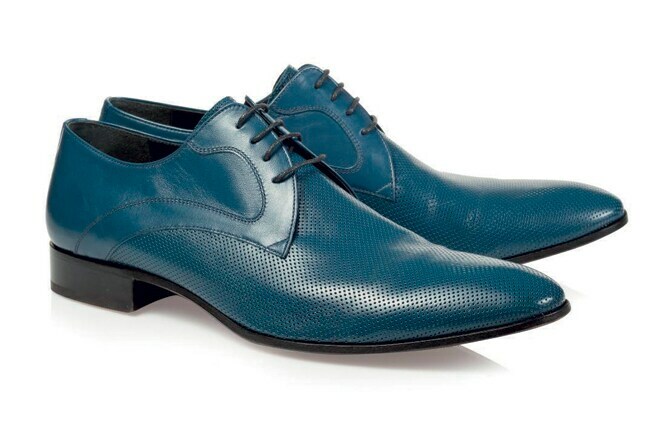 Now proudly put both your feet forward in shoes that are the rage this Spring/Summer. STEP OUT OF THE CLOSET. THE ONE WHERE YOU keep your burgeoning collection of shoes. Believe it - one can have a gnawing and insatiable shoe fetish that tantalisingly plagues his every waking hour, urging him to give in to the craving for the latest footwear designs, and still be manly. Show us a man who dismisses the saying, You can tell a lot about a man from his shoes, and we will show you somebody who can't distinguish between loafers and moccasins. You can't, either? Fret not, there's still time to learn and revamp the style quotient for your feet. There's a lot more going for footwear than what you first thought. Take bespoke shoes, for instance, which can replicate the feeling of walking barefoot on clouds - your feet melting into the lining of plush leather painstakingly hand-stitched over weeks. From deck shoes to hunting boots and town shoes, the discerning man can spot a good pair from afar and know exactly which pieces of clothing in his wardrobe will flatter the handsome twosome. Women, or at least a vast majority who have walked out on dates simply because their shoes were scruffy or mismatched with their clothes, will vociferously vouch for this. Being so bold as to assume that you do not want to fall prey to this morbid scenario, we lead you through the footwear trends for this Spring/Summer. Nothing spells confidence like going sockless. It is unabashedly cool and ruthlessly attractive. Beat the summer heat with deck shoes, trainers and derbys that show off those ankles. Roll up your trousers a wee bit and pair off with a formal shirt folded till the elbows. For those who like to tread on the wild side, don a well-fitted suit with a snazzy pair of oxfords, leave out the socks, and be the intrepid trendsetter at work. Beauty lies in the details and this designer piece of blue, perforated perfection from Artioli is best pulled off with a pair of chic high-rise pants. Here's your excuse to grab some stylish brogues, and we mean the whole lot - oxfords, derbys and balmorals. While they have always been powerful contenders on the style scale, they are back with a bang in hand-crafted, playful avatars this summer. 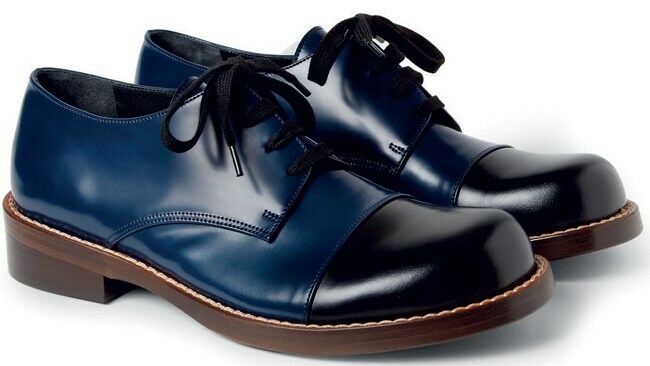 Soles lined with nappa leather ending in sleek wing-tips enhance the sleekness of the closed lace construction. There is no disputing the fact that leather oxfords rock, but suede ones make for a gorgeous accompaniment to Friday dressing. Slip into Corneliani's stunning yet laidback soft leather oxfords that essay oomph. Following the trail of socklessness, casual shoes are the rage this season. 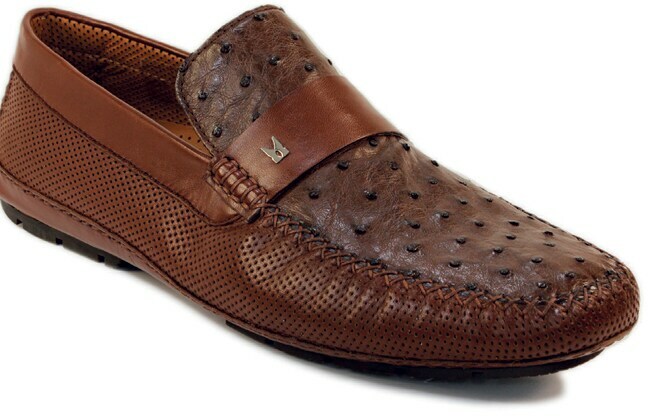 Read loafers, driving moccasins, espadrilles in vivid shades of olive green, cobalt blue, orange and earthy tones. The stunning pair from Corneliani in a warm shade of fallow, embellished with classy detailing should give you one pair of happy feet. Moreschi deals in luxury and, for spring, they have created moccasins in calf leather and ostrich leather with visible stitching details. Featuring a lining and insole made entirely of leather, these shoes are perfect for a sunny day. 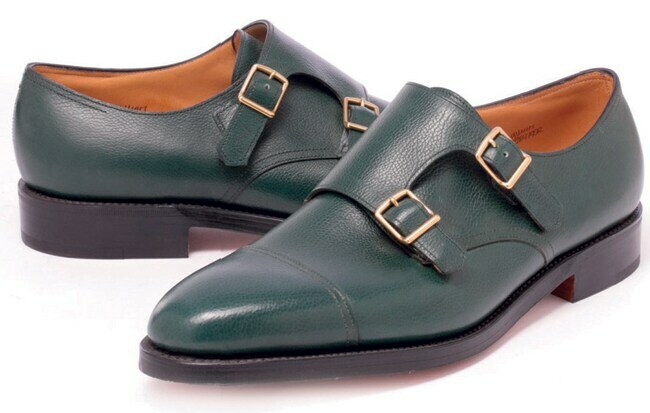 Monk straps are the surprise entry this season. Hold your breath, gentlemen, for they may well be the biggest and snazziest. You cannot get any more stylish than two straps and light buckles that wrap seductively over the instep. 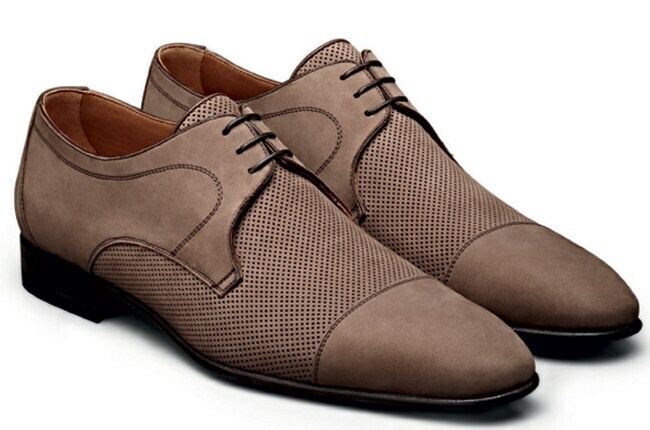 These manage to be rakishly charming and sleekly gentlemanly, especially in muted browns and greens. With just the right degree of suave formalness, monk straps are not fussy about maintenance. You can wear them for days without polishing the buckles, giving the shoes that naturally worn look. Meant to be effortlessly paired with sharp suits, these are also a cheeky match for rolled-up jeans, says Prem Diwan, Retail Head of OSL Luxury Collections. Before you decide this one's not for you because it's just too over-the-top, feast your eyes on this epitome of comfort and style from Marni. These Italy-crafted polished leather derby shoes in a stunning neutral palette are classic as well as quirky. If shoes speak for the man, these two-tones would probably have the nicest things to say about you in a deep gravelly voice. The basic white-and-brown combination works best for an evening out, but save the burnished green and dark blues for occasions that require some snazzy power dressing. Flamboyantly known as spectator or correspondent shoes in the 1930s and limited to golf courses and tennis courts, two-tones have decisively and smoothly topped the style scale.